an 18 year old Withernsea man is in Police custody today on suspicion of a number of burglaries to commercial and residential properties across the town. 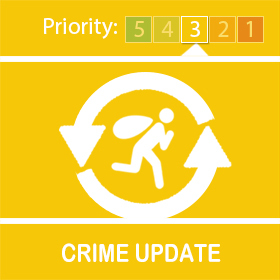 a 42 year old Withernsea Man is now in Police custody on suspicion of burglary in a property on Station Road, Ottringham. We thank all the members of the public for the information and their assistance in this matter. Can you ID these two people? 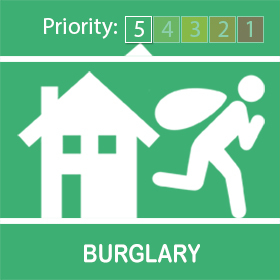 We would like to speak to them in connection with a burglary that happened on Thursday 11 April at around 2am. 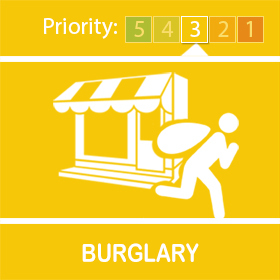 sometime between 2345hours 13th April to 0700hours Monday 15th April 2019, a report of a burglary orruced in a security cabin on a Business Site, Hull Road Aldbrough. Offender(s) had gained entry by forcing the padlocks and caused a power failure by stripping wires. Three industrial sized rolls of earthing cable and a hard drive was taken during the incident. 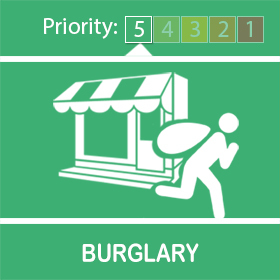 sometime between 10am and 4pm on Tuesday 9th April 2019, a burglary occurred in a property on Main Street, Burstwick. Offender(s) had gained entry via a rear kitchen window. A box of GUCCI and ARMANI designer jumpers was taken during this burglary. ​Monthly Agency meeting. Each month we meet with our partners from the ASB team, ERYC Housing, Schools, Humberside fire and Rescue and discuss those who are identified as vulnerable and repeat victims of crime. Together we support and protect them. 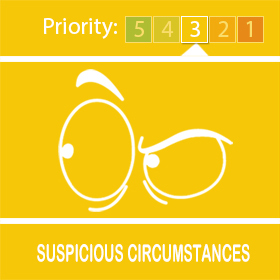 “My Community Alert” is a free messaging system operated by Humberside Police and Humberside Fire & Rescue Service, giving you live information about incidents happening in your area. Choose how you receive messages, by either phone or email, how often you want to hear from us and about the issues that matter to you. When something happens that you’ve told us you want to hear about, your local officer will send you the details, whether that’s notice of a road closure due to a collision or a burglar who has been caught in a nearby garden. Subscribe to My Community Alert to be the first to know about issues that might affect you or your family. Twitter users can keep up to date with events, alerts and traffic news within Holderness by following the community team @HPMidHolderness @SthHolderness or on our Facebook page Holderness Community Policing Team. Throughout April 2019 staff from the Holderness Community Police Team will continue with high visibility patrols to deter offences of Anti-social behaviour. This has been effective in reducing the number of ASB and violence against the person statistics which show a marked decrease from last month. The team are continuing to work with partners of both retail and licensed premises to solve the issue of anti- social behaviour. I appreciate that this is a topic that is often neglected however from the team’s talks with the community this is an issue that annoys you greatly and we agree, hence we are determined to assist our partner agencies in combating the problem. The terrain is vast and does lend itself to the mindless dumping of sometimes industrial waste. I therefore would ask that you report anyone you suspect of littering the Holderness region, it is a blight on the landscape, it’s your community to enjoy, let’s together keep it tidy. For further information on the Fly tipping and the community response in general please visit the team and either one of our local stations in Hedon or Withernsea. Operation Gallant continues to run across the region. Burglary offences are down from last year and even last month. However I still urge vigilance report anything suspicious. Neighborhood watch is a deterrent and brings communities together, for information relating to the scheme please visit your local station. The team are always keen to allay the fear of crime and will continue to analyze trends and intelligence to ensure the community remains safe. Speeding kills please slow down. The region is having success in employing traffic calming measures. Different locations have hotspot locations. We will work with partner agencies to reduce the number of collisions through speed cameras and poster campaigns. This includes drink-driving, please report anyone you suspect of driving whilst under the influence of drink or drugs. For any further information please visit your local station.